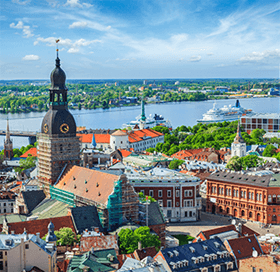 What you need to know about corporate profit tax in Latvia? Company pays corporate profit tax after submission of annual report. Report submission deadline is 30-th of April. Important to know that in parallel with profit tax calculation, State Revenue Service (SRS) calculates also amount of profit tax advance payments that to be paid monthly through the rest of the 2-nd year. The deadline for payment of corporate profit tax for the previous year and for the first monthly payment of profit tax for the current year is the same. It means that together with corporate tax you would need to pay also 1-st monthly advance payment. If you know that, your business will not make the same profit this year it is good idea to negotiate with SRS a lower monthly tax. What you need to know about salary taxes in Latvia? What tax regime to select Normal or Micro? Starting the business, you can decide whether to pay standard profit or micro tax. You can change this decision later, but only next year. Most companies select to pay Normal tax, because it is optimal decision if you have trading business, or business, which involves purchasing materials/services from suppliers, and sell them to the clients. In this case, company will need to pay tax from profit, if no profit made - no tax to pay. Micro companies taxed on income, but not on profit. These kind of companies are good for consultants, lawyers, or other businesses that are not involved in trading activities, but their main product or service delivered using limited number of employees (maximum 5). Micro tax is designed in the way that it includes not only standard profit tax, but also all social and income taxes for employees. What are Holding regime advantages? Holding regime was introduced in Latvia in 2011 and starting from 2013 Latvia became one of the favorite destination for Holding company establishment. Most of benefits connected to big and medium size businesses. However, even small business need to know about main advantages. Holding regime assumes absence of any taxes on dividends, interest and royalty if Latvian Company owner is Foreign Enterprise. This was a normal practice in case Foreign company is established in EU, however, now the law implies that it can any foreign company, including Russia, USA, Australia, etc. In addition to that, income arising on the disposal of any shares will no longer attract corporate profit tax. What is “Black List” and how not to get penalty? There is a special list of countries and special territories in the world, which Latvian government consider as tax havens. Latvian firms need to be careful, making payments to foreign companies established in countries or territories included in the “Black List”. Each payment to such companies will be taxed with 15% rate, unless company proves to State Revenue Service that client is resident in the country from tax heaven and really paying taxes there. It is very important to mention that all the benefits of Holding regime are true only in case foreign company is not established in “Black list” mentioned countries. What are the main tax changes in 2015? There were important tax changes in the end of 2014, which are coming into force starting form the 1-st of January 2015. Minimal salary was increased from 320 EUR to be 360 EUR, while minimal hourly rate to become 2.166 EUR. Personal income tax was decreased from 24% to 23%. Micro company tax was increased from 9% to 11% if turnover exceeds 7000 EUR in the current year. There were also other changes connected to pensions, social payments and others which are not directly impacting entrepreneurs. If there's a need we can easily send summary of all the tax changes to your email.